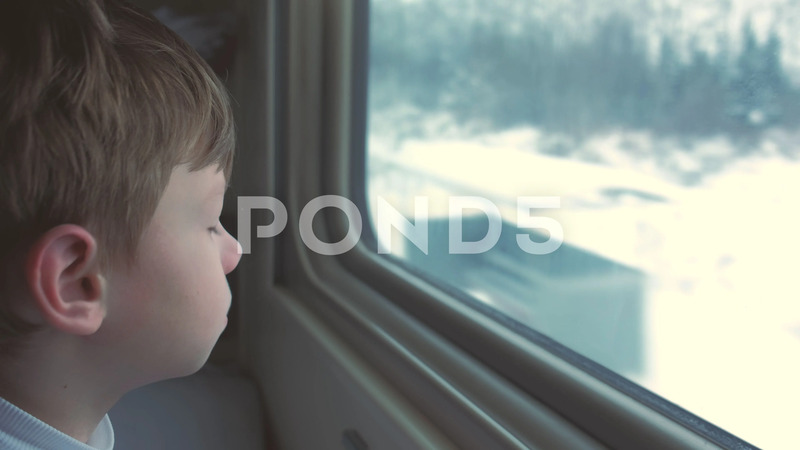 Boy Is Looking In Window In Moving Train On Winter Landscape. Description: Travel by train in winter. Face close-up, side view.